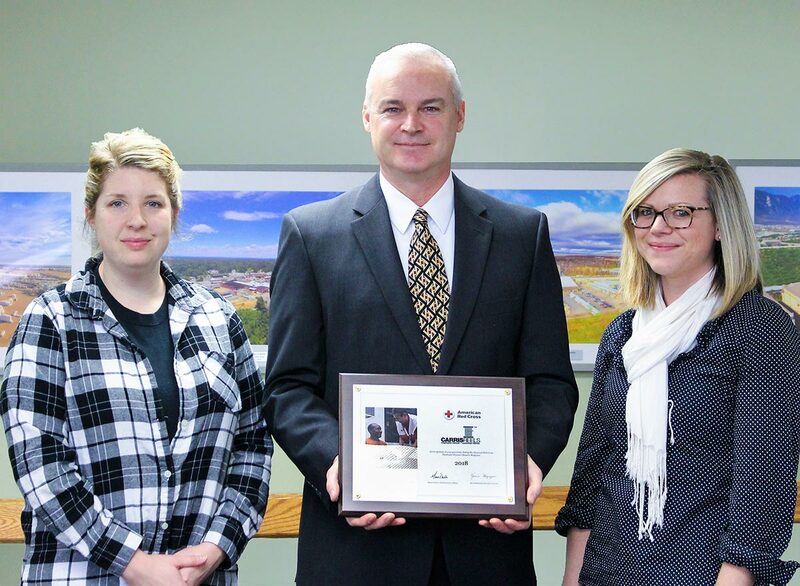 American Red Cross Hurricane Donation | Carris Reels, Inc.
Jess Utter (left) and Liz Pulsifer Sailer (right), of the VT Charitable Giving Committee, accept a recognition award on behalf of the Carris Foundation from Kevin Mazuzan, the Executive Director of The American Red Cross. 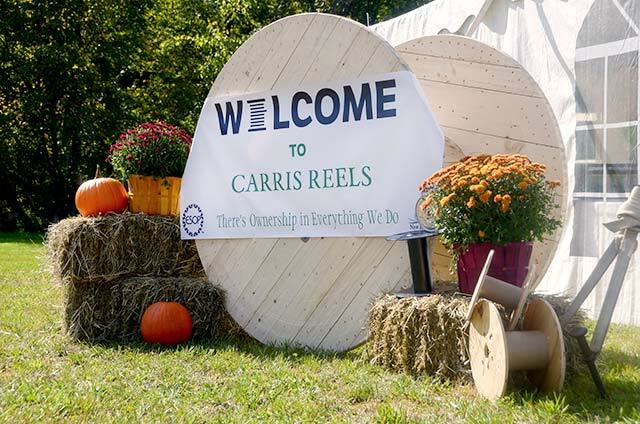 On October 2, 2018, Carris Reels employees in Mexico, Canada and the U.S. contributed $29,290.18 to The American Red Cross. 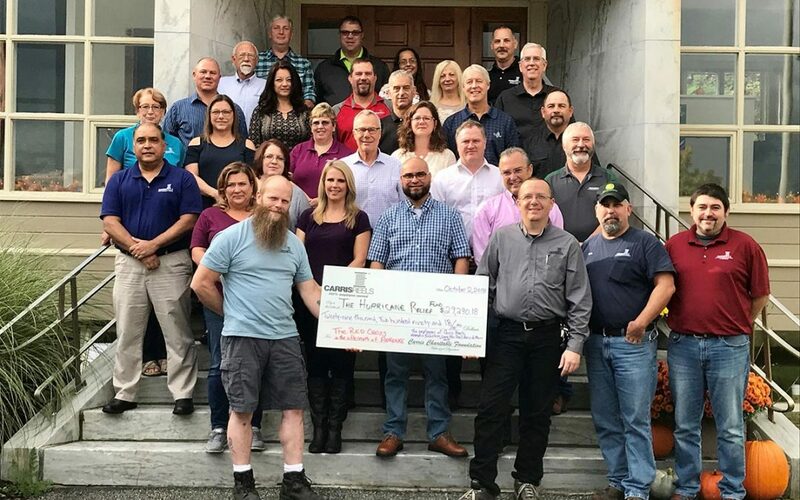 Our donation helped the victims of Hurricane Florence that overwhelmed the Carolina’s in early September causing severe damage. There were approximately 55 deaths and damages exceeded $40 billion. Many Red Cross shelters served Florence evacuees, providing them with clean water, safe shelter and warm meals, among other types of assistance. To learn more about Red Cross disaster relief, click here.